IP Reputation Report-04122019 - NSFOCUS, Inc., a global network and cyber security leader, protects enterprises and carriers from advanced cyber attacks. The above diagram shows the top 10 regions with the most malicious IP addresses from the NSFOCUS IP Reputation databases at April 12, 2019. The country Suriname (SR) has been in the first place for two week. The Laos is still in the second place. 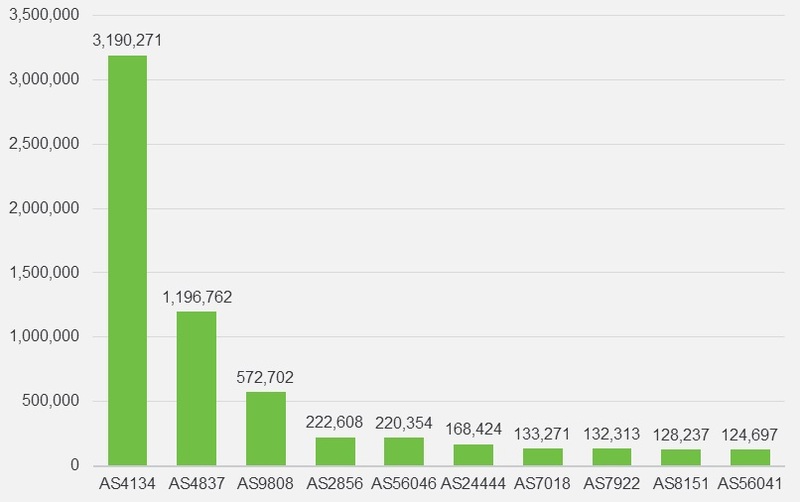 This diagram shows the top 10 ASNs at the April 12, 2019 with the malicious IPs. 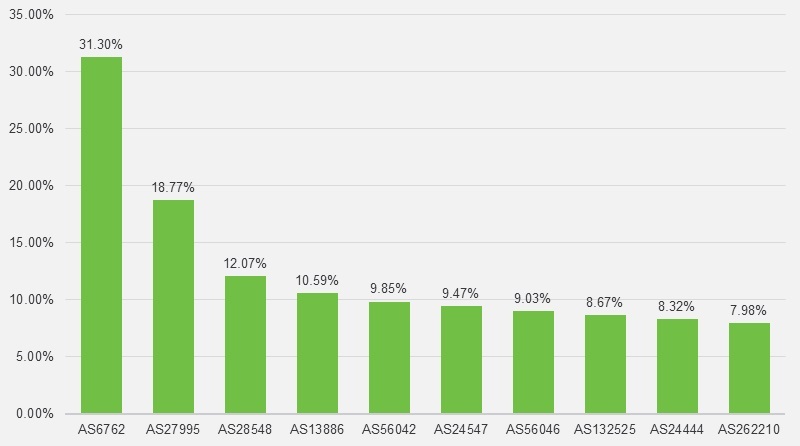 This diagram shows the top 10 ASNs in percentage that we selected with the number of their IP addresses greater than 65536 (class B) only. This set of ASNs is very different with the top 10 ASNs in count. The table below gives more details about each ASN. 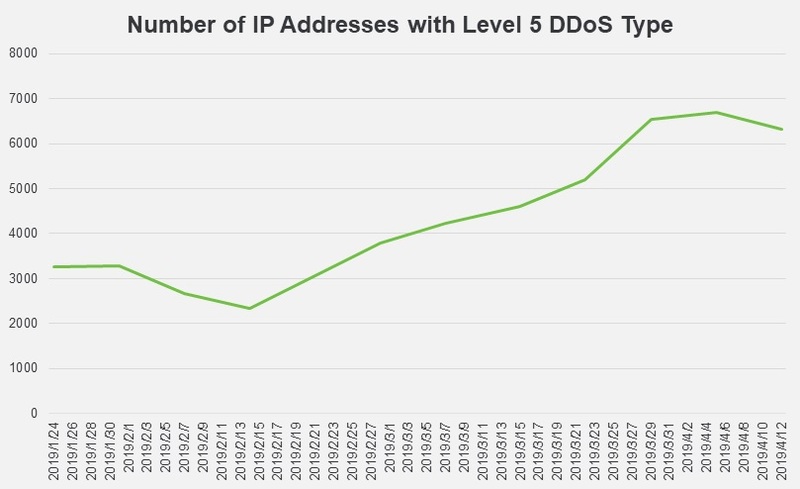 This diagram shows the weekly trend of IP Reputation with level 5 DDoS category for last 11 weeks from January 24, 2019 to April 12, 2019.